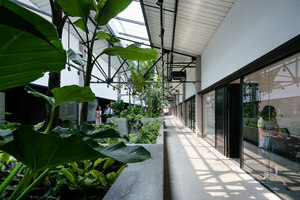 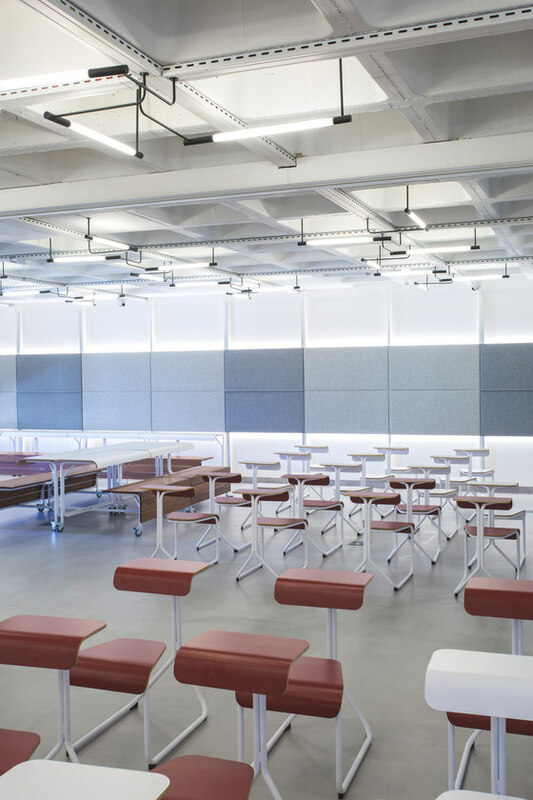 Two new classrooms have been designed by Dear Design as a multipurpose open space and leave behind the traditional rows of chairs and desks, and speaker’s platform to give life to a new distribution with modular dynamic furniture and greater commitment to technology, lighting and sound. 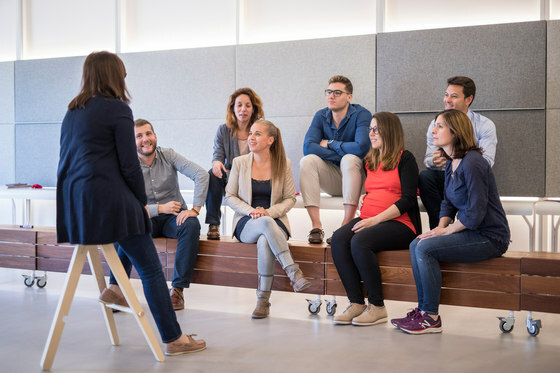 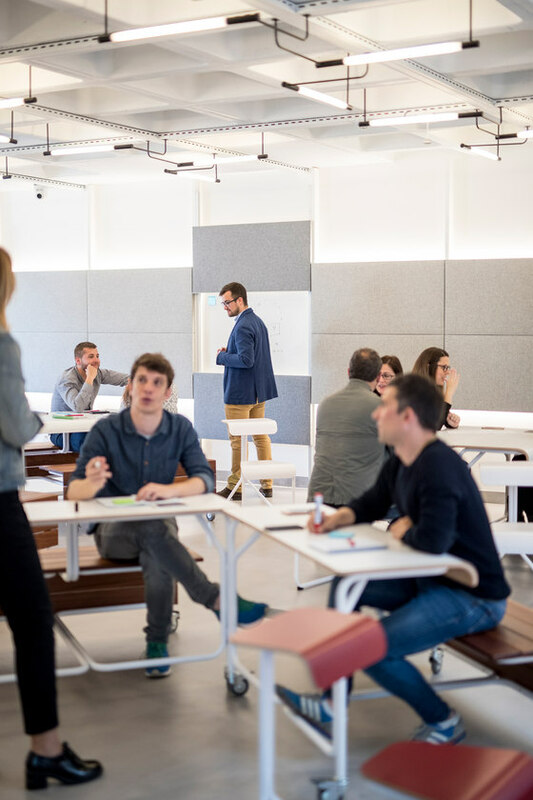 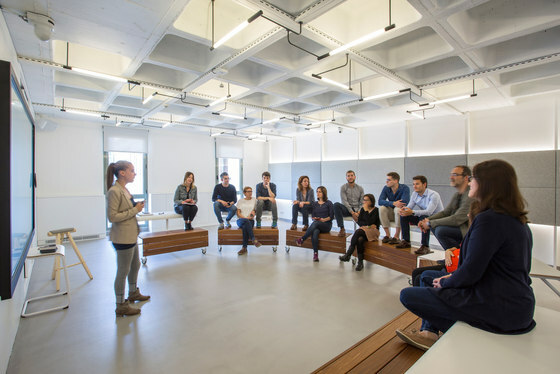 The new design of the space does not correspond to a simple aesthetic desire or example of modernity, but has been conceived and designed specifically to meet the ways of contact and learning that the new teaching mode of the School of Management of the UPF required. 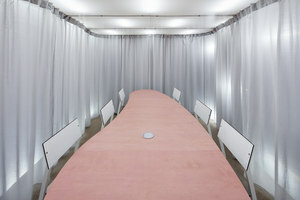 Comfort: spaces had to create a physical and mental feeling of comfort and wellbeing. 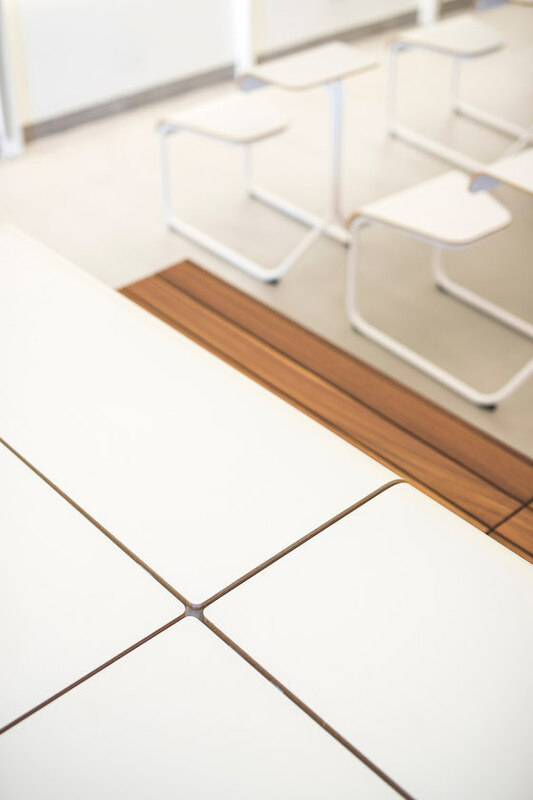 simplicity and fitness for use. 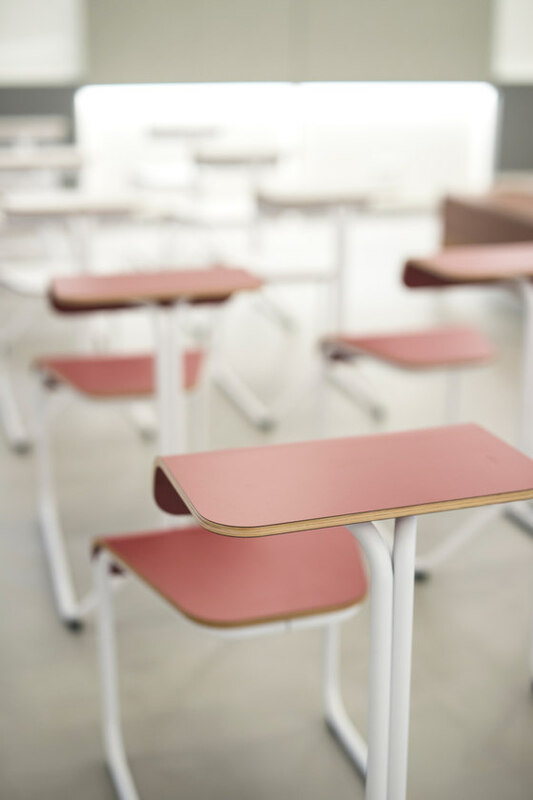 Integration: balance between technological and educational resources. 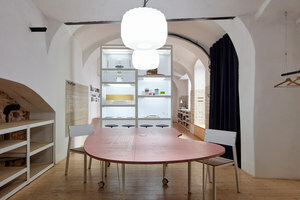 Re-use: the potential for multiple use of space. 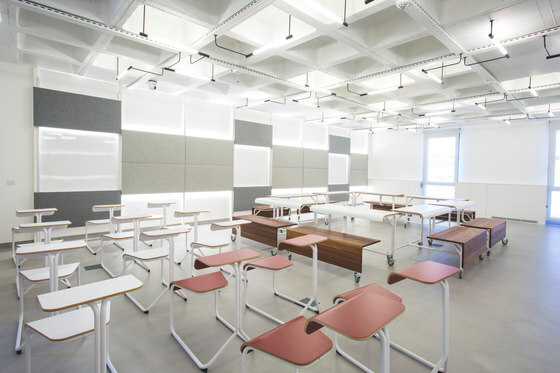 The new classrooms have been designed as large multipurpose flexible spaces equipped with light, modular and mobile furniture, allowing in few minutes to transform the classroom in multiple formats: for individual presentations, group presentations, format of grandstands for teamwork, for individual work and combined simultaneous formats. 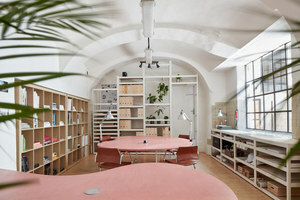 Spaces are large enough so that there are up to four or five simultaneous workspaces and for the teacher to adapt the space and resources considering their needs. 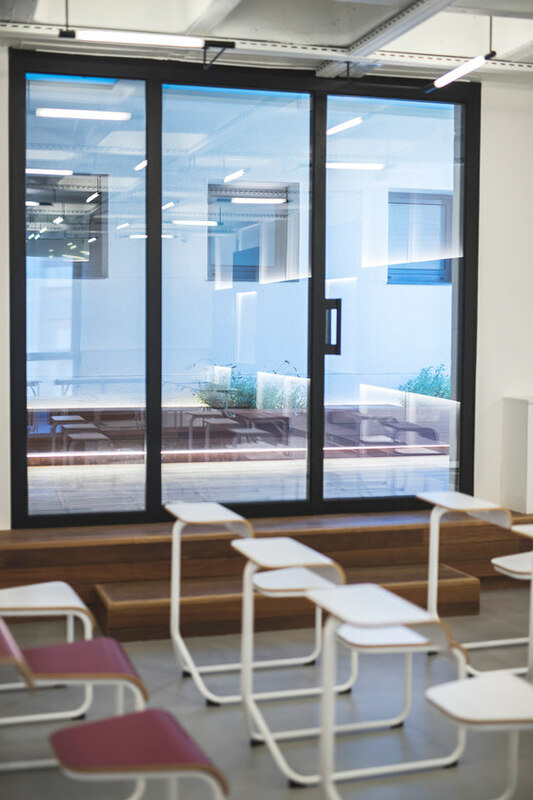 In order to speed up changes in distribution, signage in walls and floor indicates some possible classrooms combinations. 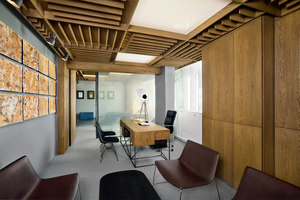 Lighting and acoustics have also been specially treated. 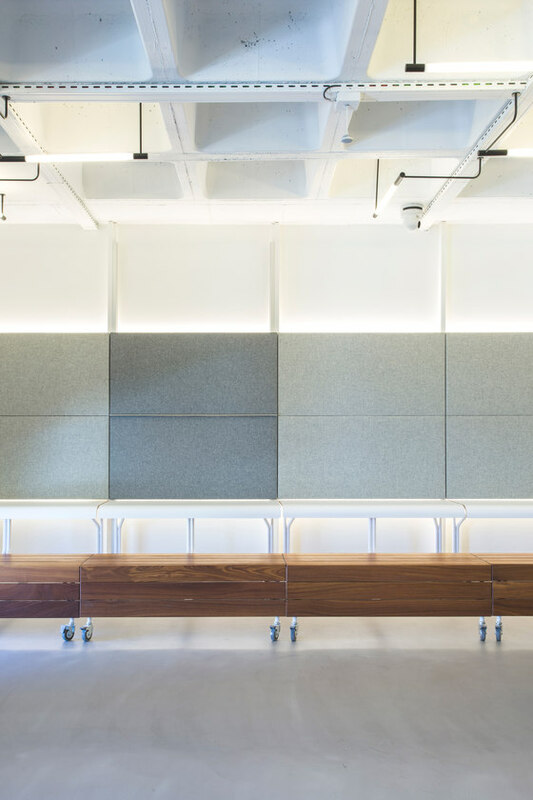 Adjustable lights help to adapt to natural light and minimize sight fatigue, while mobile acoustic panels provide soundproofing. 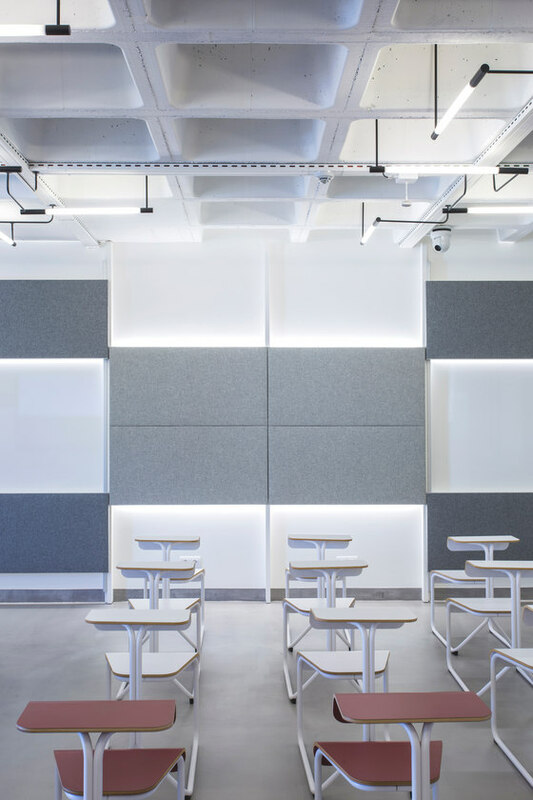 The fabric acoustic panels are disposed in one side of each classroom, and provide not only sound absorption and visual warmth, but also when sliding them, users gain an extra whiteboard where to have sporadic meetings. 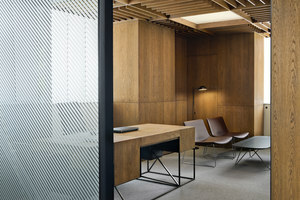 The space is solved with the use of few materials so that the atmosphere is calm and visually clean. 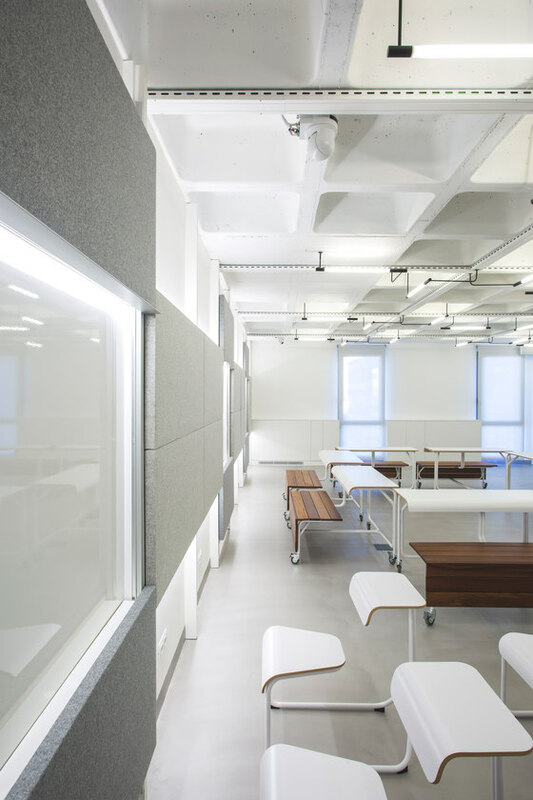 The modular structure is left bare to gain extra height and at the same time optimize the room’s acoustics. 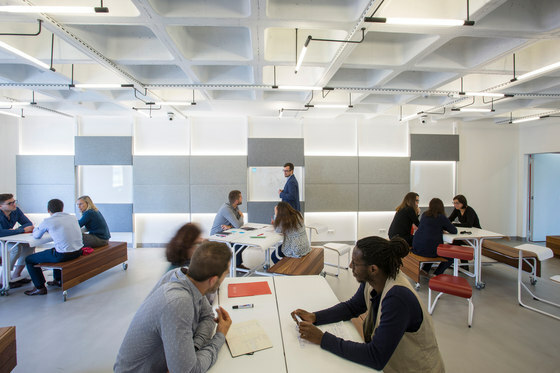 The two rooms are divided by a flexible wall, which in the case of extra capacity need or different group work configuration, can be opened so that the two rooms become a single one. 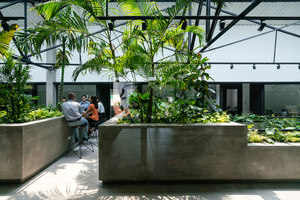 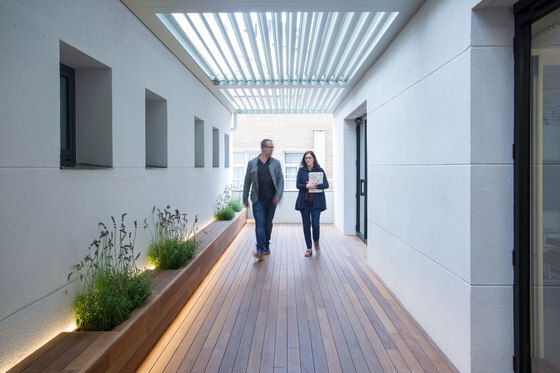 The exterior patio, which was in disuse, has been recovered and turned into a terrace where students and teachers can take a break or even some events can be held. 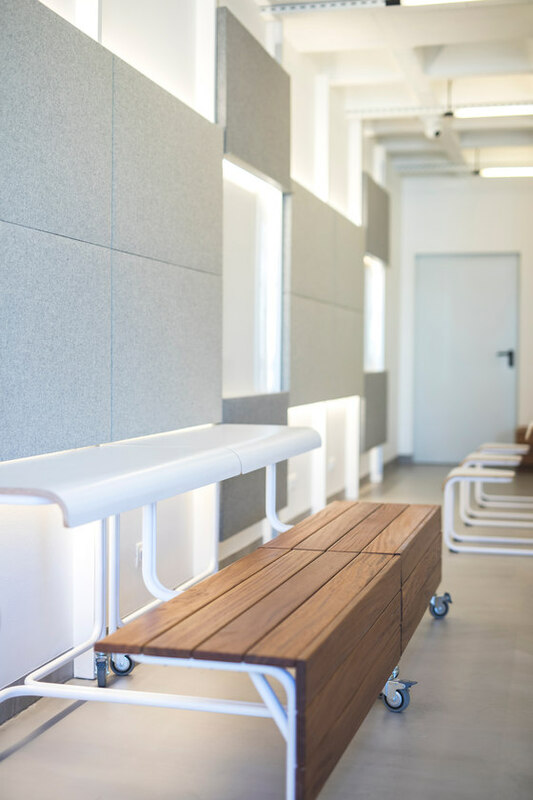 This porch merges into the classrooms through some steps that work as a sitting area when presentations are given. 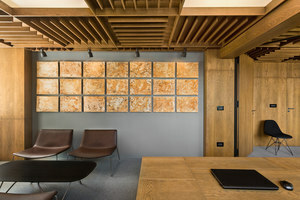 The furniture used is part of the design. 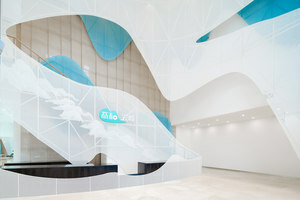 It has been created using simple forms to suit the whole concept. 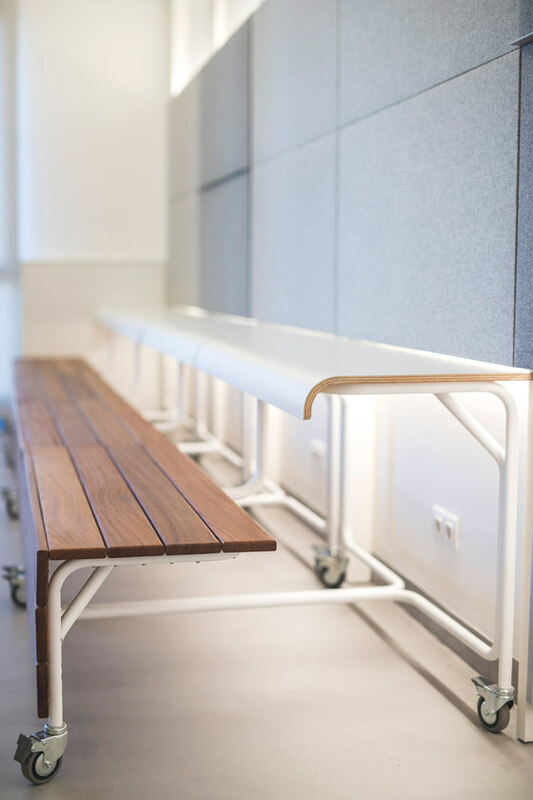 The bench-desk has multiple uses. 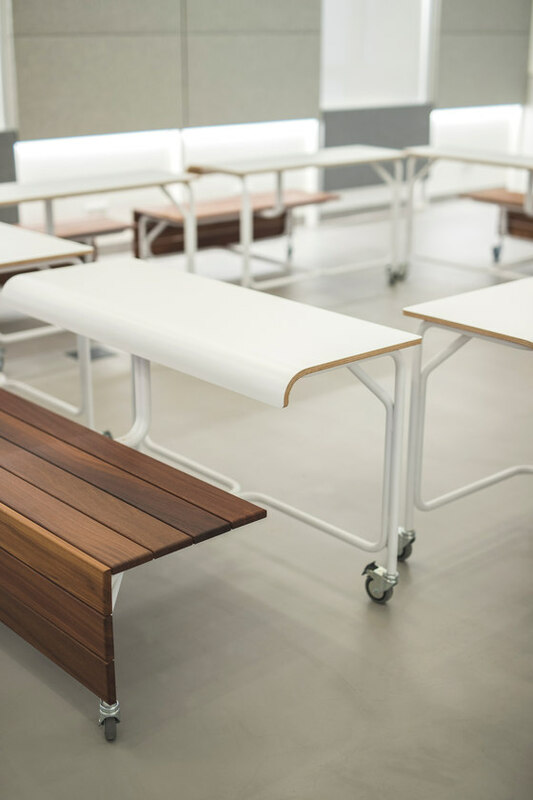 It can be combined to create a team table, used individually as a desk and seat, or even set to work as a grandstand. 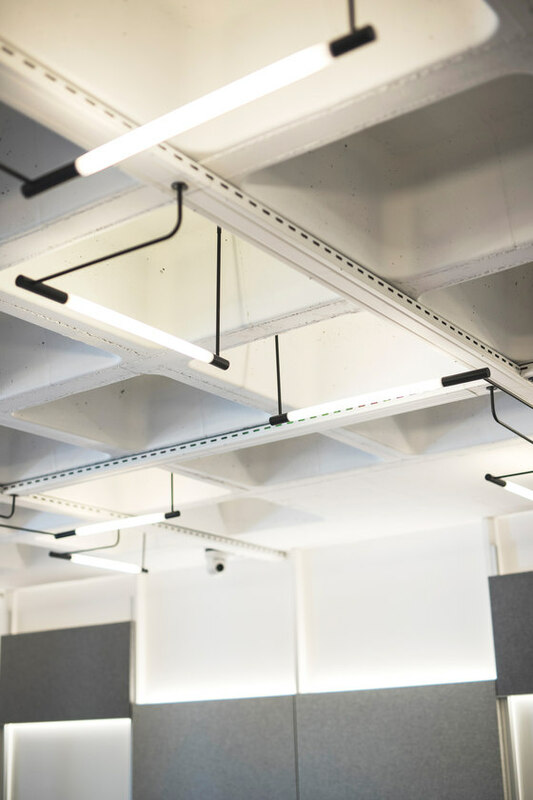 The lighting fixtures are designed also with simple forms, and remind of a classic design created in the Bauhaus. 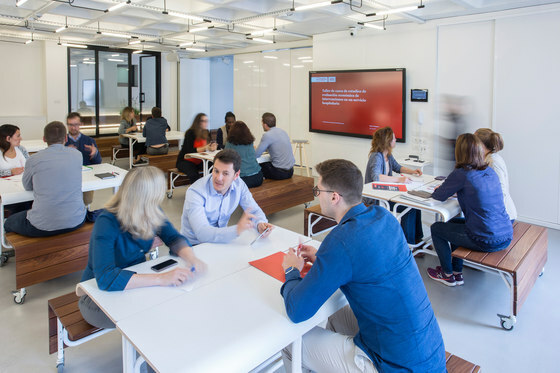 A cooperative learning and interdisciplinary guidance requires classrooms prepared to facilitate new relationships among students and teachers, and therefore multiple magnetic white boards, digital cameras, six microphones to record the floating sessions and broadcast streaming and touch televisions have been installed. 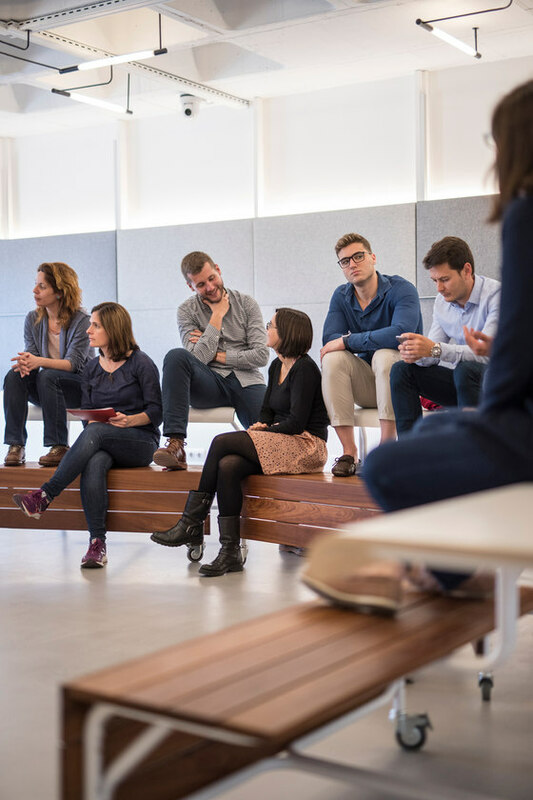 Everything is designed to transform education into an active involvement model where practical learning and people interaction take center stage.